Sweet memories of Felix & Nan wedding in Chonburi, Thailand. The bride's family is from Thailand and recommended for us to stay in Bangsaen Heritage Hotel. The hotel grounds were filled with sprawling gardens and our Villa 5215 was right in the middle of the vast grounds (I think). 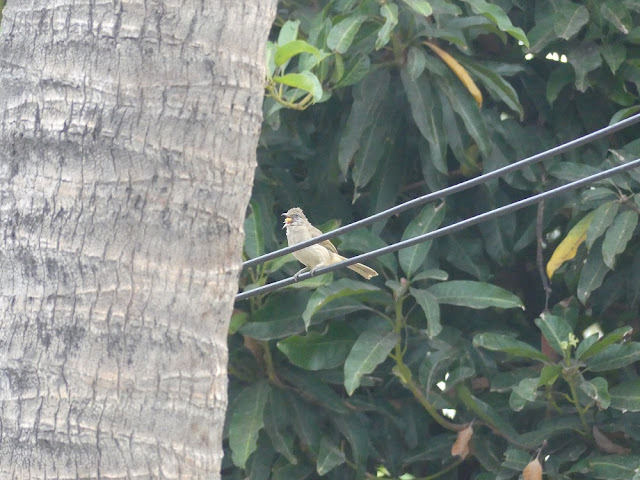 Spotted Oliver-winged bulbuls gulping down berry fruit whilst perched on a wire below. 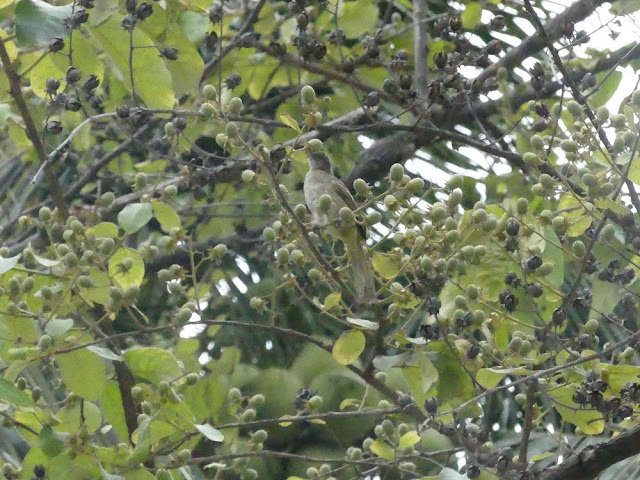 Olive-winged bulbul positioning berry fruit for final gulp below. 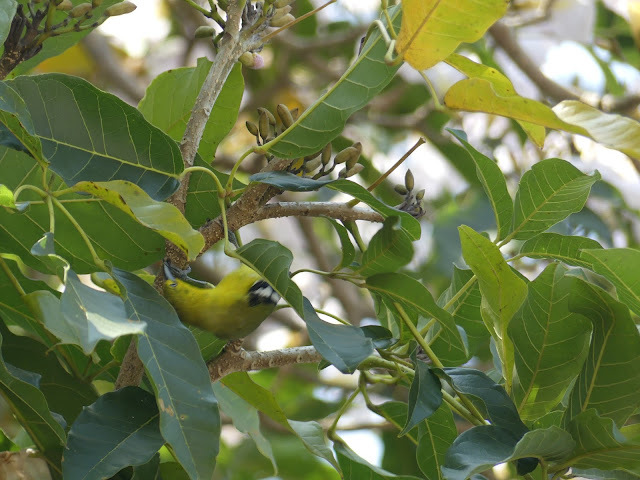 Varied selection of berries for the bulbul to pick from in this fruiting tree within gardens of the hotel. 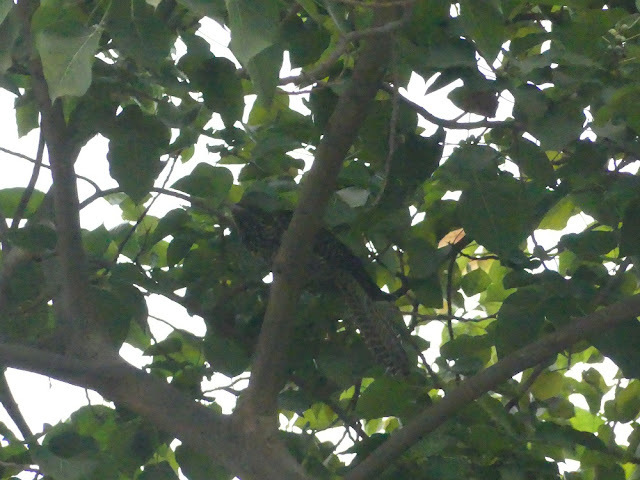 Female Koel spotted hopping around the branches of a tree below, nearby Villa 5215. Male Koel was seen alongside it throughout. This pair of Koel was very vocal, particularly in the mornings and evenings. 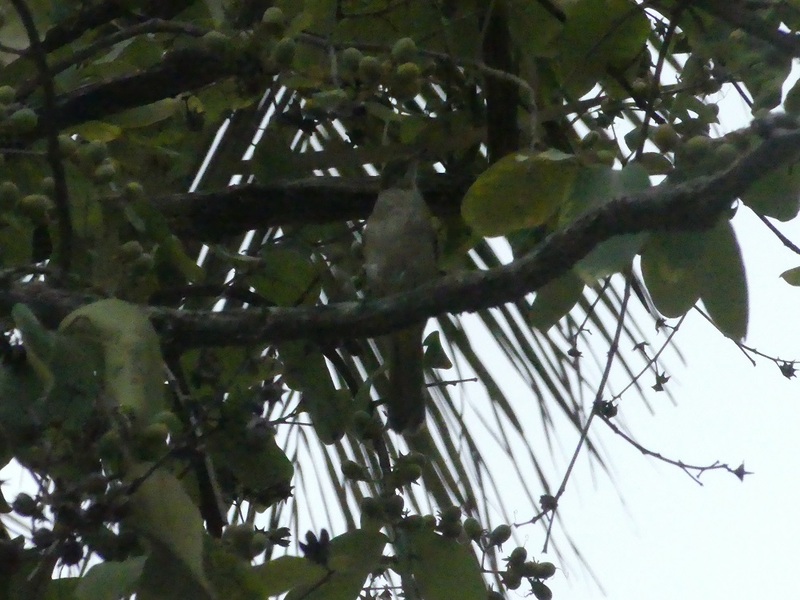 An unidentified bulbul species below. It was foraging for fruits in same tree as the Olive-winged bulbul. Olive-winged bulbul below stretching its neck to inspect its surroundings. 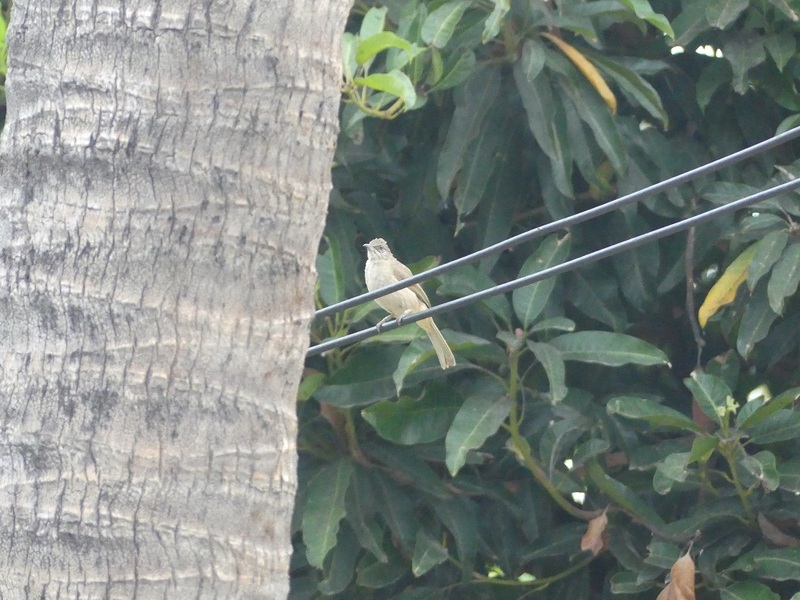 This bulbul sings in rich bubbly notes. Very different from the yellow-vented bulbul (final picture below - perching in red tulip tree which was just in front of our Villa). 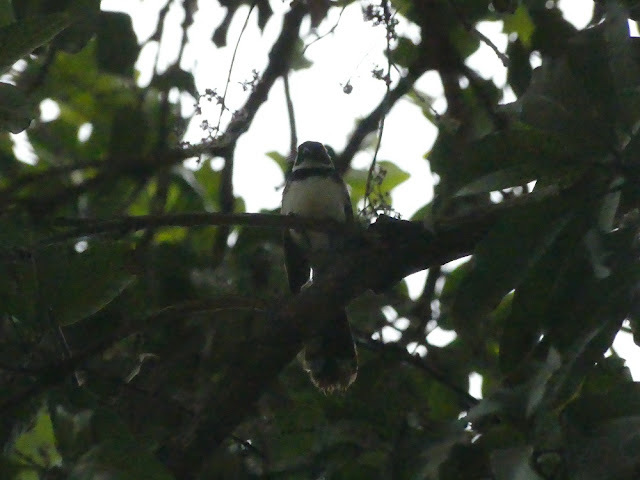 Pied fantail looking very regal below. 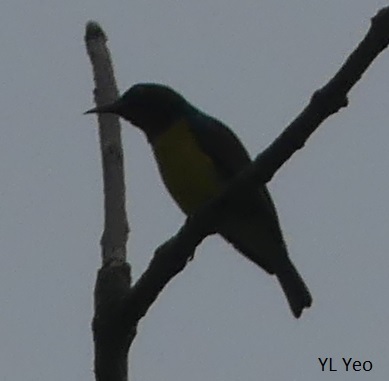 An unidentified sunbird perched high on a branch. Heat from the hot morning - wondering if it was one of the factors that caused the image to be blurry. 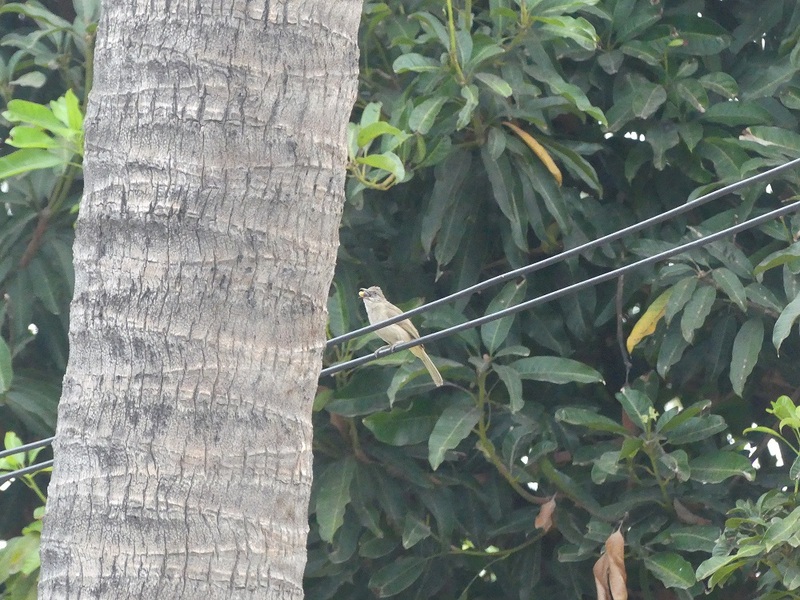 Must admit that I am still a beginner when it comes to taking photographs of birds. Birdwatching in the gardens of the hotel was an added bonus. It was already bright by 6am in Bangsaen, Chonburi, Thailand and I had to stop birdwatching by 7.30am. We had to be at the hotel lobby before 9am. Wedding tea ceremony that Sat morning to attend. The bride's house was nearby the coast and wetlands. Saw a cormorant perched outside her house (shucks - didn't bring my camera along for the morning tea ceremony). A black-winged stilt flew overhead as we had our al-fresco lunch outside her house that Saturday. Pad thai fried with duck eggs and seafood was served straight out of the huge wok in front of the bride's house. The best pad thai noodles I have ever tasted. Wonderful memories indeed from that weekend trip to Thailand, attending my second cousin's wedding. The warmth and hospitality of the Thais especially bride's family were legendary. Visited Thailand recently to attend family wedding. Felix was my second cousin from Penang and he was getting married to his university sweetheart, Nan, whose hometown was in Bangsaen, Chonburi, Thailand. 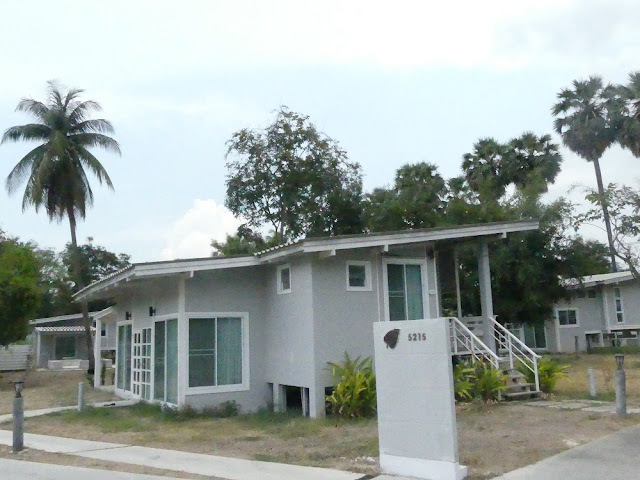 Bangsaen Heritage Hotel's villa was booked for the family members from Malaysia. Thanks to my Aunt Lily, she arranged a late checkout for my family. 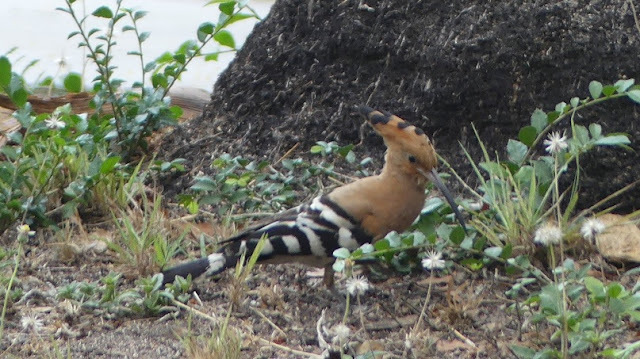 Whilst walking in the gardens of the hotel on a hot mid-morning Monday, the Common Hoopoe flew pass me. My heart skipped a beat and my pulse raced. I've heard so much of the Common Hoopoe and to finally (and unexpectedly) see one on my last day in Thailand was a dream come true for me. Apparently, this is the only Hoopoe species that can be found in South East Asia based on Craig Robson's Book on Birds of South East Asia. 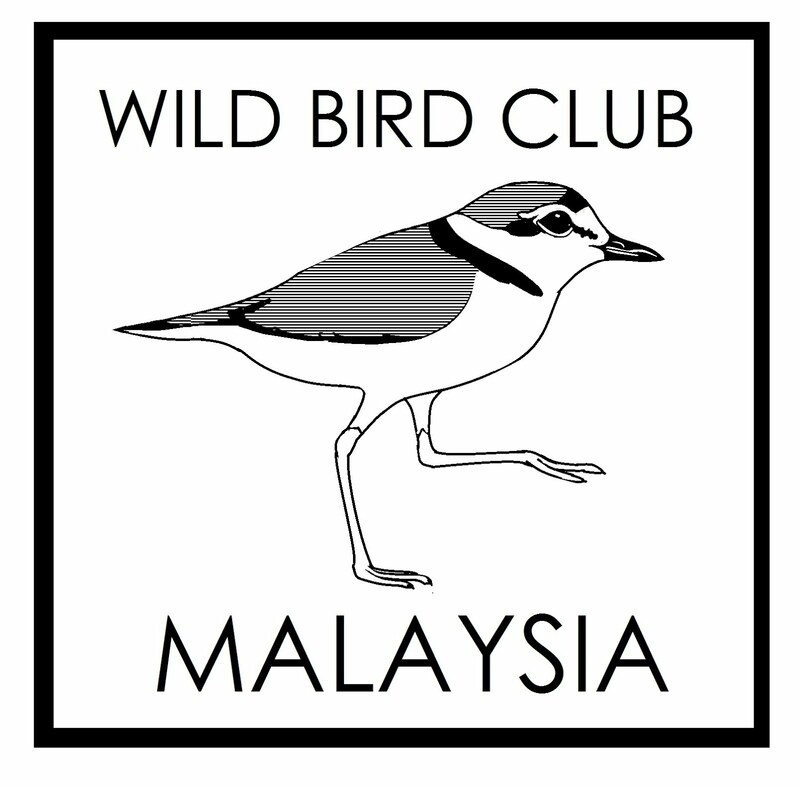 According to BirdLife International factsheet, it is not endemic to any particular country. 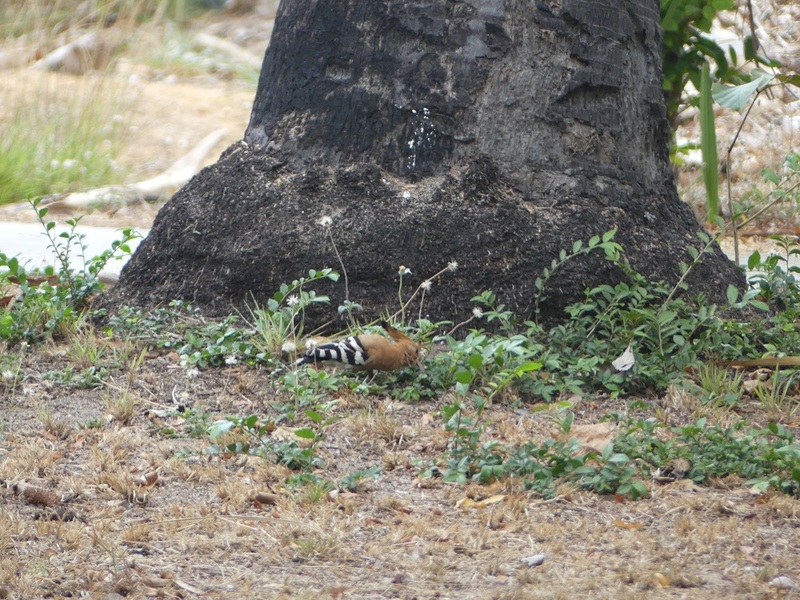 Status of Common Hoopoe is Least Concern under the IUCN Red List history with decreasing population trend. 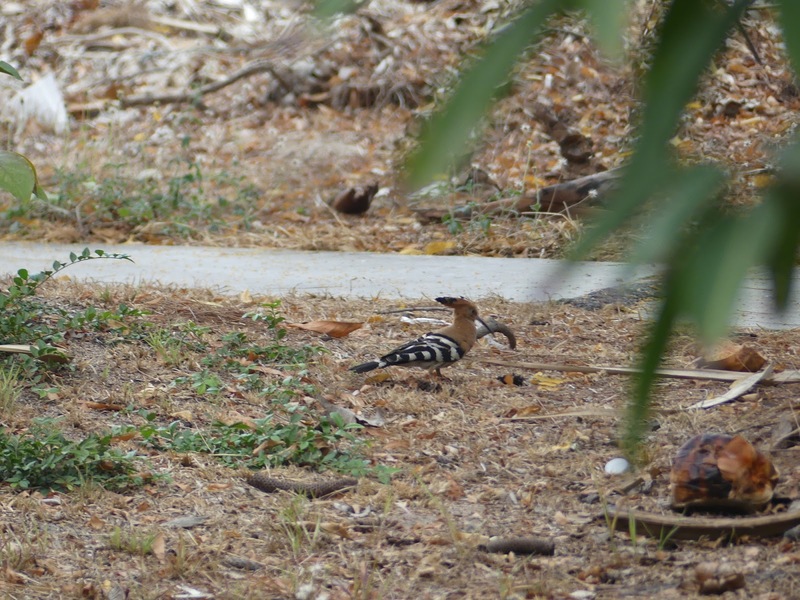 Seems habitat destruction and over-hunting are threatening the Hoopoe's survival. Hoopoe probing the dry grass for some tasty mid-morning snacks. 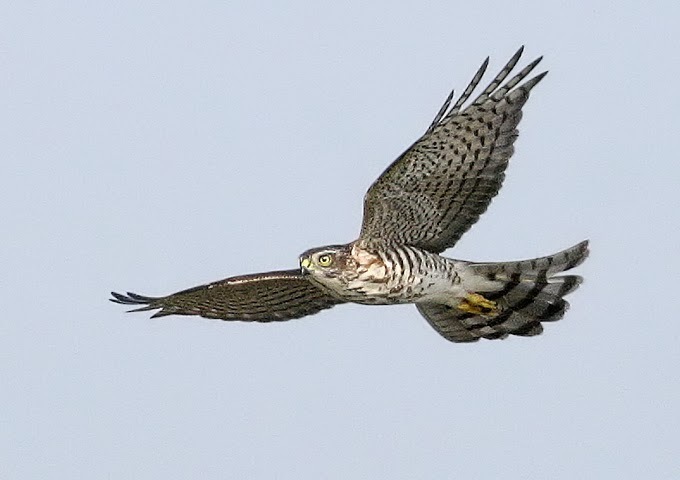 Chestnut brown plumage down its upper back, with lovely black and white patterns right up to its tail. 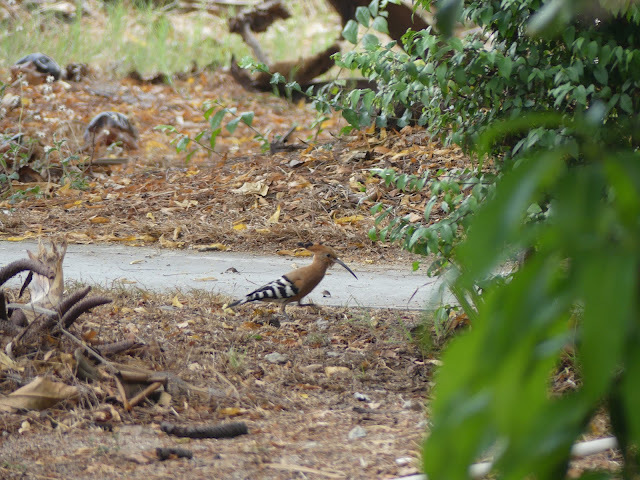 Hoopoe walks on towards the edge of the garden, up and above a mound below. 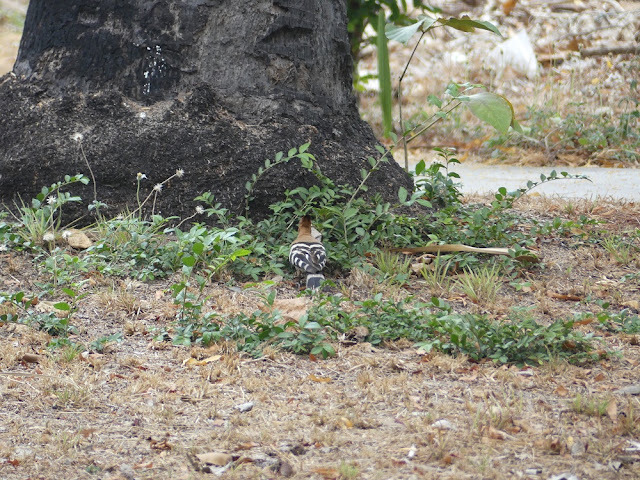 The Common Hoopoe only granted me a few precious minutes to observe it. 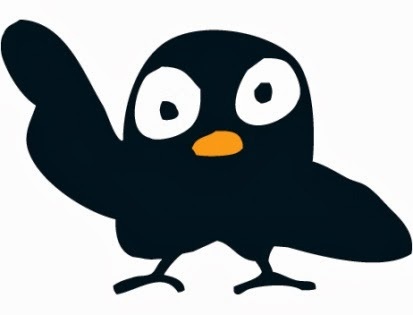 It flew from one end of the villa to the other and I had to cross a public road, before spotting it walking towards an unoccupied Villa. 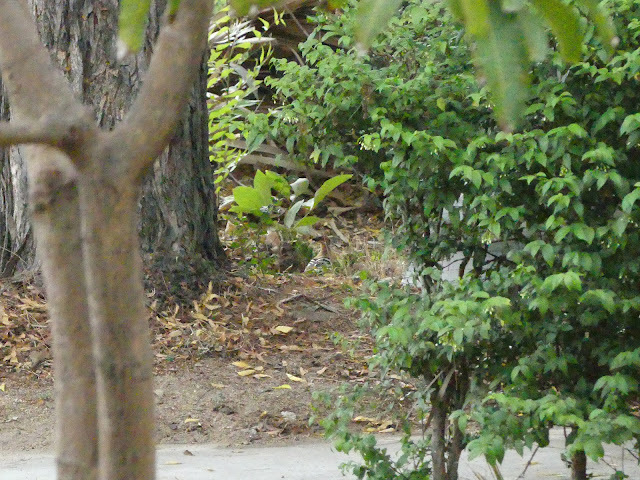 It walked silently towards the edges of the garden, which were filled with dried up leaves and fallen branches. The Hoopoe flew off and I ended my search for it since it was almost 12 noon with scorching sun reminding me that it was almost time to check out and head for lunch with my family. 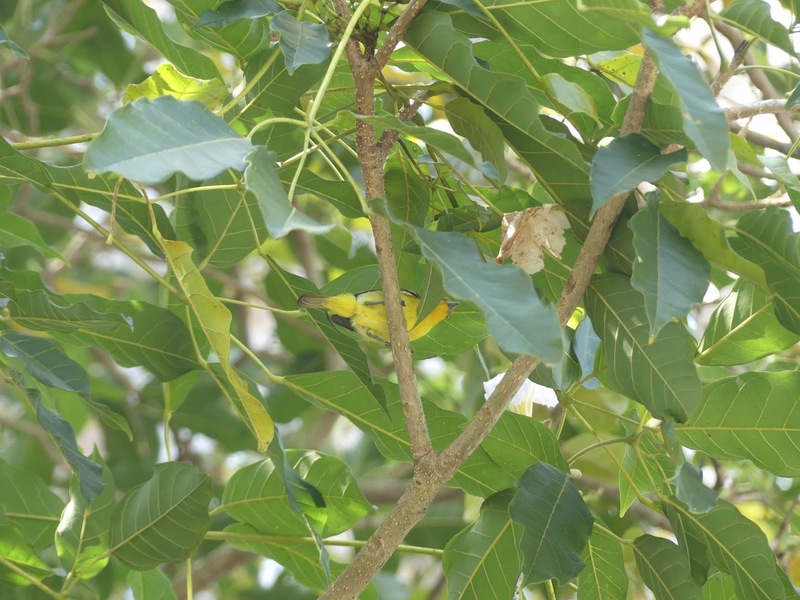 Common Iora seen feeding quite late that Saturday morning in Tacoma tree that was in full bloom. Tacoma tree was within the compounds of Land Office in Segamat, Johor. Mid-morning birdwatching around my neighborhood that Saturday morning. Also spotted Tailorbird which was camera-shy that day. 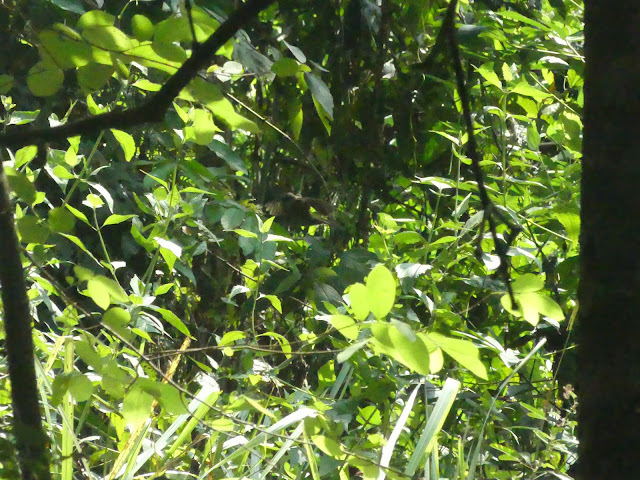 Last birdwatching spot for the day as I was returning from Paya Pulai, Segamat particularly from the Recreational Forest of Chodan River. Glad that the river was still flowing and not left bone dry by the El Nino phenomenon that is sweeping across Malaysia at the moment. Olive-winged bulbul seen perched for quite a long time at this isolated patch of secondary lowland forest in this village, nearby Recreational Forest of Chodan River. 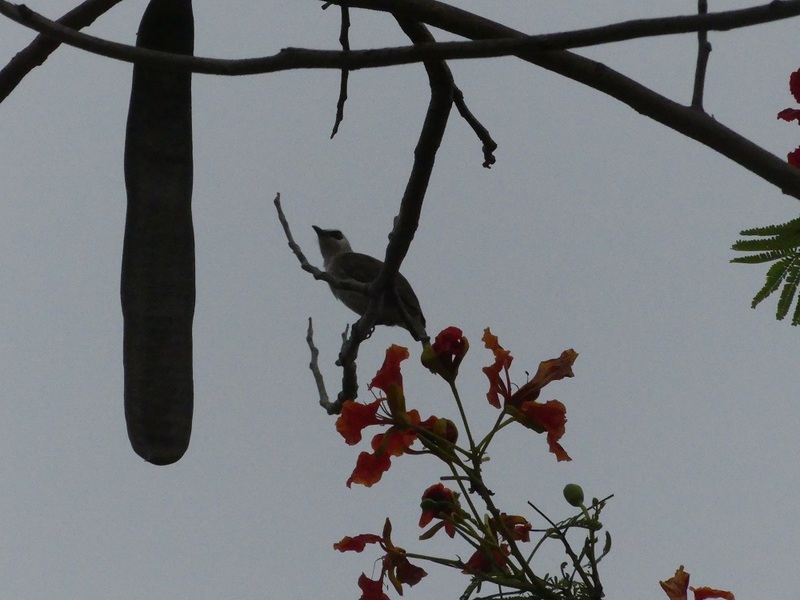 Bulbul flew off for a while and returned to its perch to feed on the fruiting branch of a tree growing near a clump of bamboos. 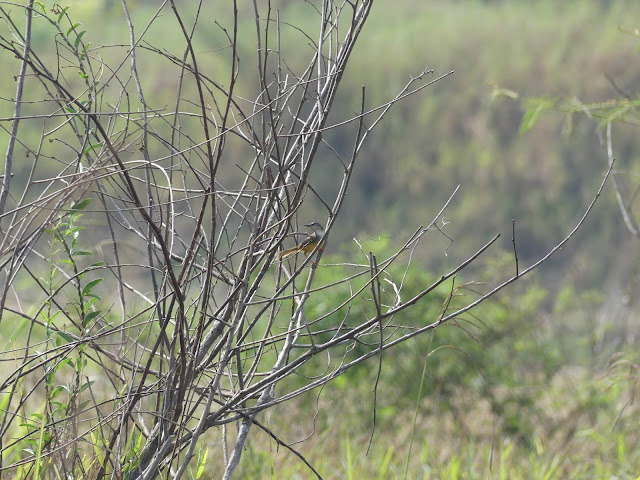 Yellow-bellied Prinia were calling out that morning along the riverside - very verbal and I managed to take a picture of this Prinia below from inside my car. 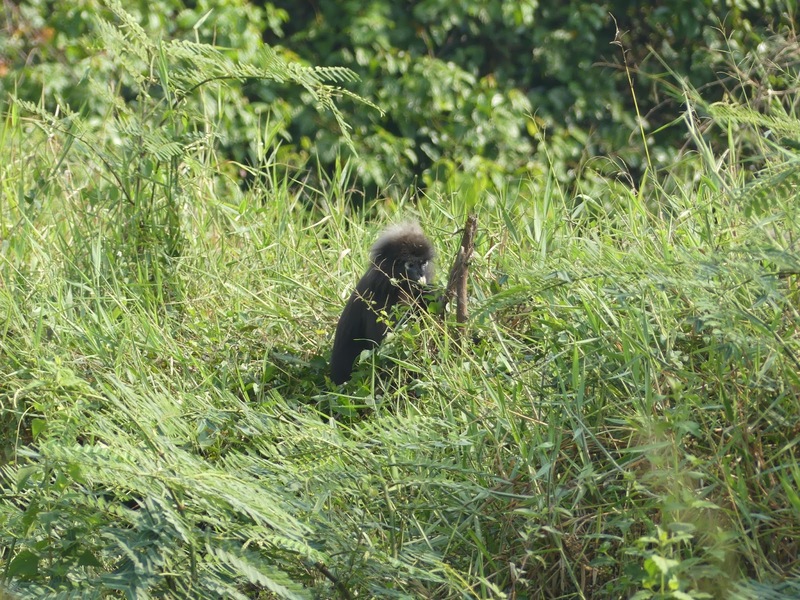 Dusky Leaf Monkey munching on some shoots and leaves on the ground near the riverside as well. This is the first time I've seen this Leaf Monkey on the ground. Usually see them sitting on branches at mid-level in the trees along this Recreational Forest of Chodan River. Didn't see the Little Green Pigeon that Saturday morning. 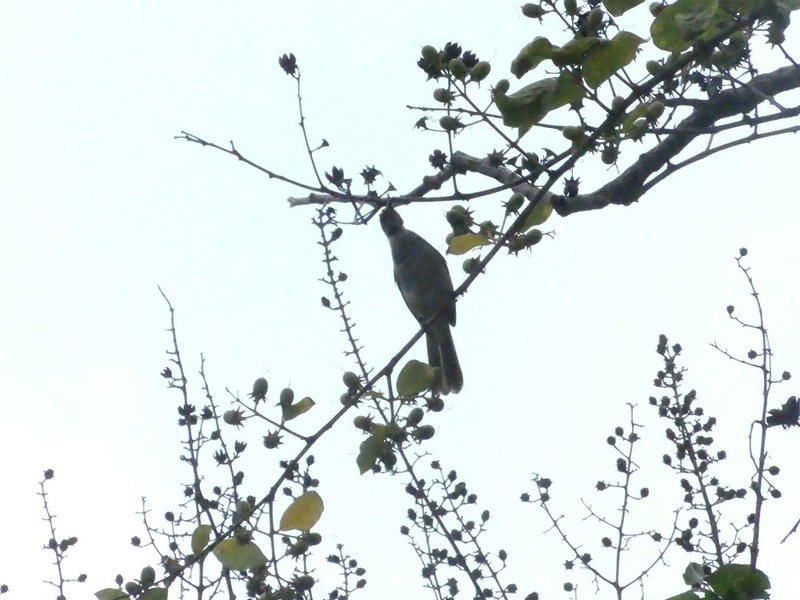 Saw the individual Green Pigeon perched high on a tree by the riverside during the first week of Chinese New Year 2016.